Has been in the ministry for over 60 years. 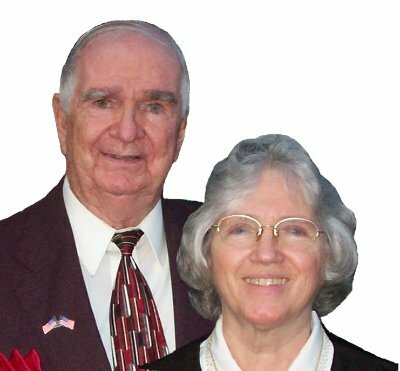 Graduated from Bob Jones University in 1958, having sat at the feet of Dr. Bob Jones, Sr. for four years. Received Doctor of Divinity from Bob Jones University in 1992. Pastored the Cedar Crest Church (Independent Baptist) for over 25 years. Worked 25 years in the ministry of Bible-to-Youth Camp. Sixteen years on Executive Committee of Fundamental Ministerial Association of Altoona, PA, area. Traveled in several other countries preaching, including missionary trips to Haiti, Mexico, Canada and Alaska. Recommended by pastors, missionaries, and evangelists for his strong stand on the Fundamentals of the Faith and his desire to reach lost souls. Trained in sign language by Bill Rice Ranch. Has interpreted sermons and songs since 1971. Uses voice and signs in singing. She is enjoyed by both deaf and hearing. Interpreted in area-wide crusade in Altoona, Pennsylvania. Taught Kindergarten and First Grade.